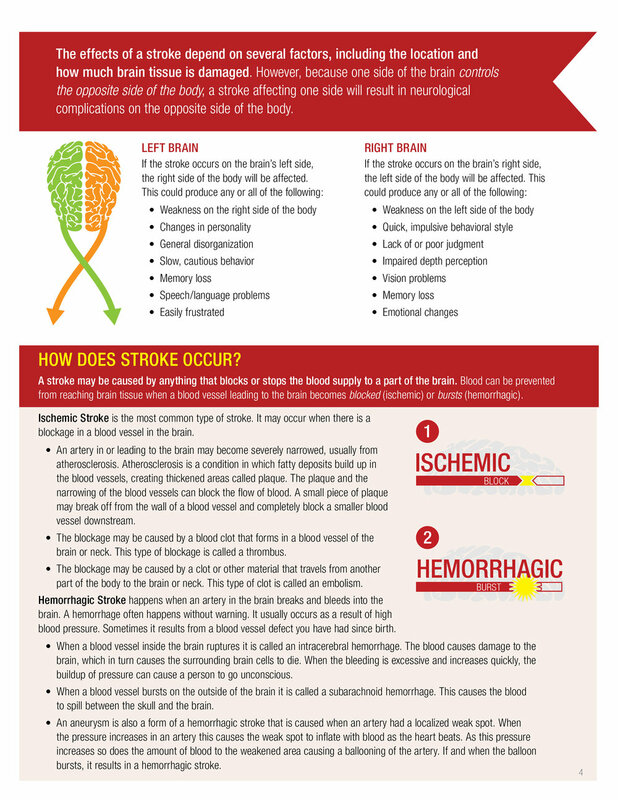 This is an informative packet handed to patients who recently experienced a stroke. 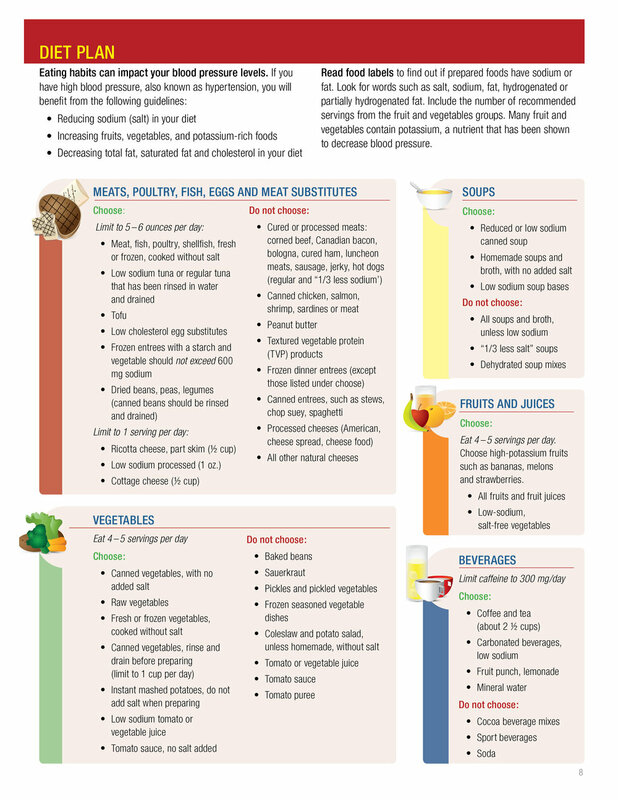 It is utilized and customizable by all the acute care hospitals in the Tenet system. 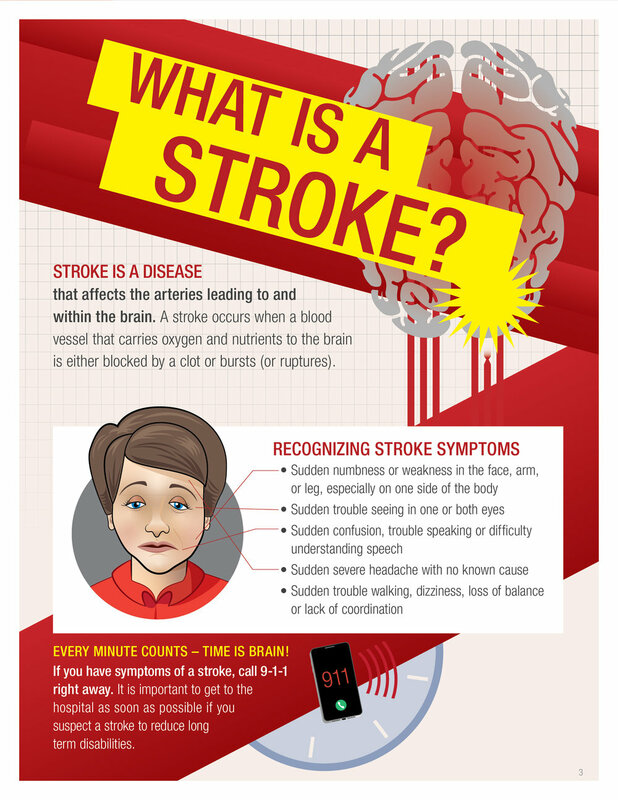 The goal is to educate a patient about what a stroke is and what to expect having experienced one. The illustrations were designed to aid the viewer in understanding the sometimes complicated information.